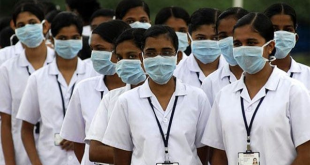 KUWAIT CITY, Aug 30: The 80 Indian nurses which had signed a contract to work with Kuwait’s Ministry of Health continue to live in ‘no man’s land’, reports Al-Anba daily. According to reports the Ministry of Health had signed the contract with the nurses from India in 2015 and they arrived into the country at the beginning of 2016. They were to be distributed in government hospitals, but unfortunately since their arrival they have been living in the nurses’ quarters waiting for the completion of administrative procedures. It has been reported after their arrival in Kuwait they were informed that there would be delay in sending them to their respective work places ‘for some time’ due to non approval of the budget for hiring them, but little did they know at that time that ‘for some time’ would mean more than two-and- half years. They have no salary, no freedom of movement and no treatment. All that they have received from day one of their arrival into Kuwait are empty promises. Tired of waiting and exhausted, the nurses visited the Al-Anba daily to narrate their tragedy and appeal to concerned officials to find a solution to their tragedy. Due to fear of reprisals from officials, the nurses requested not be photographed and “here we can say they are not to be blamed,” says the daily. 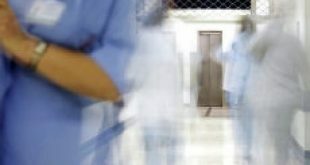 One of them disclosed, “in India, we have to pay huge sums of money roughly an equivalent of 10,000 dinars to specialized companies to seek a job in Kuwait.” The nurse said almost all of them have paid such money to these companies. Some of them have taken loans from banks, while others have sold their properties and even mortgaged homes to raise the money and now their families back home are burdened with the problem of repaying these loans. “We are nurses and we were working in hospitals. Although we are not graduates we had a steady income and a stable life. All we wanted was to improve our standard of living by working in Kuwait. Now we have lost even this modest income and the simple life we enjoyed. Literally speaking we are captives in nurses’ accommodation with no work and no income,” said another nurse who refused to give her name. 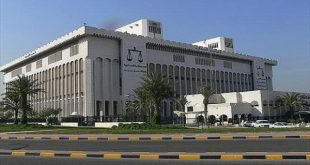 The husband of one of the nurses is said to have died in India after she arrived here in Kuwait and she learned about his death after a period of time. Since she does not have any money, she was unable even to visit India to receive condolences, said the newspaper quoting one of them. There are a number of nurses who receive the sad news about their children and family members from time to time, some of them suffer from illness, others unable to attend school because of their inability to pay tuition fees, etc. It is a series of humanitarian tragedies that these nurses and their families are living for no fault of theirs. Worse still, they need medical care, but they are unable to get it from the hospitals and clinics of the Ministry of Health – even though they are nurses – because they have no residence permit and no civil ID. When asked about the role of the embassy of their country in alleviating their suffering and finding a solution to their problem and helping them acquire their rights they said: “We went to the Indian Embassy and after much efforts and delays we met the ambassador who promised to follow up the issue with the concerned officials and handed us 50 dinars each.” About their demands, the nurses said they are specific. The Ministry of Health is committed to employ them as nurses according to the contract, and compensate them for the period in waiting. 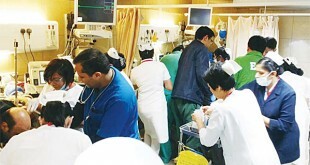 They have appealed to the Minister of Health Dr Sheikh Bassel Al-Sabah to intervene and end their plight. They added debts have accumulated and opportunities for their children and their livelihoods have been reduced as a result of the deprivation of work and income in Kuwait and India as well. They said they have nothing to do with the administrative and financial issues involving the Health Ministry and the concerned authorities. 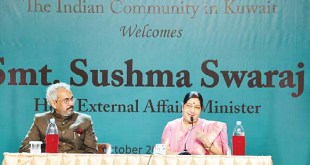 They added, India’s Ambassador to Kuwait K. Jeeva Sagar has promised to take up the issue with Kuwait’s Ministry of Health. Meanwhile, in reply to a question about the tragedy of the Indian nurses the Indian ambassador told the daily relations between Kuwait and India are excellent and there are one million Indians working in Kuwait who receive full care and all their rights, and that some problems are expected to crop up here and there from time to time, and that there are legal channels to solve these problems. He added, the officials in the Ministry of Health have confirmed that the outstanding problem will soon be solved. In the meantime, the nurses said they visited the Kuwait Nursing Society and explained their plight, but did not receive any attention or help from anyone.